I’m R. W. Thompson, an author of books for young readers and adults. I live in Massachusetts, with my wife, our Greyhound, Dandy, and our cat, Thumbalina (Yes, she really is as small as the original). That’s a picture of me above. Although you probably figured that out already. 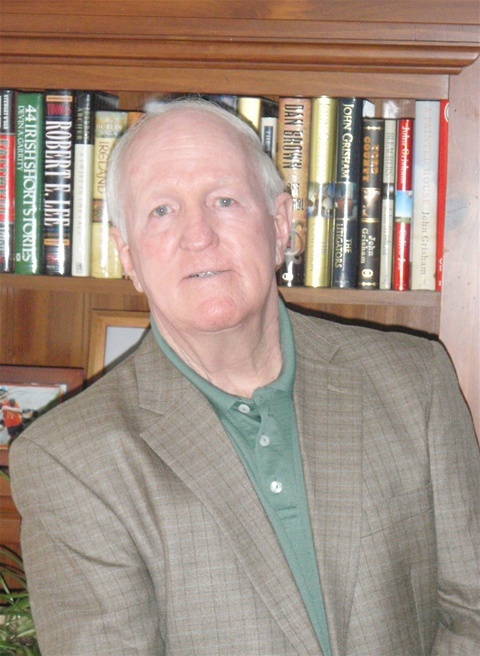 I am a retired history teacher and elementary school principal, who can now take the time to write and publish the stories that I use to make up for my children and students. My children's books are listed under available books, and if you go to the online store, there are direct links to purchase them. There is also a poetry section where you will find poems about life, a special section entitled Anam Cara, poems for the soul, and a section for short stories. I am also working on an adult novel and hope to complete it shortly. Watch for news about it. Feel free to come on in and stay as long as you like, and if you get the urge to eat chocolate while you read, please be my guest. If you like something on any of the pages, please leave a message and your e-mail, so I may respond to you! All works on this site are the property of the author and are subject to copyright laws. They may not be copied without the written permission of the author. Always check the bottom of this page to see what is new! Great news to day from Readers' Favorite review company. "Icicle Dreams" has been given a Five Star review and awarded a silver seal. You may read the complete review below. Thank you so much to Readers' Favorite, Mamta Madhavan and the people who have purchased "Icicle Dreams"! 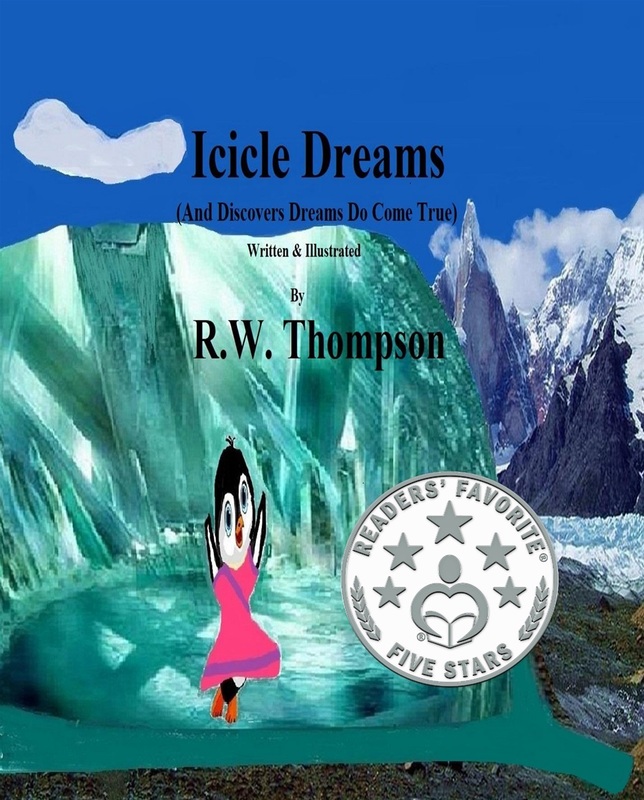 Readers' Favorite announces the review of the Children - Picture Book "Icicle Dreams" by R W Thompson, currently available at http://www.amazon.com/gp/product/1985670011. "Icicle is back with her family in the storybook Icicle Dreams (And Discovers Dreams Do Come True) by R.W. Thompson. Icicle wanted to be famous like her older sister, Fluffy, who was a good swimmer and faster than a leopard seal. Icicle was not a good swimmer and the only time she went in the sea was to find food. When Icicle was growing, she noticed she was taller than her friends and her flippers were longer than that of her friends’ flippers, and the feathers at her neck were turning yellow, the mark of an Emperor Penguin. She liked flying but Icicle knew that penguins could not fly. Icicle decided to ask her adult friends to give her ideas on what she could do to become famous. What does Icicle choose to do to become famous? Will her dreams come true? The story is magical and the illustrations by the author bring out the whimsy in the tale and the scenes perfectly, making it an enchanting read. The charming pictures give the characters a personality and individuality of their own and make the scenes vivid to young readers. The story conveys a beautiful message and will make children work towards fulfilling their dreams, just like Icicle. It is a good story to encourage children to pursue what they want to achieve. Parents and tutors can use this book at home and in classrooms for storytelling sessions to motivate and give confidence to youngsters to follow their dreams and see the magic happen in their lives." 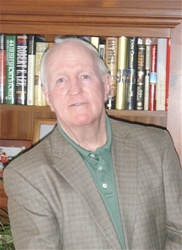 You can learn more about R W Thompson and "Icicle Dreams" at https://readersfavorite.com/book-review/icicle-dreams where you can read reviews and the author’s biography, as well as connect with the author directly or through their website and social media pages. Daydreaming, a Baseball Story launches! If you would like your own signed copy of "Daydreaming, a Baseball Story", come on down to the official launch, this Saturday, April 6, 2019 at 3:00 at the Blue Umbrella Bookstore, Main St, north side of the green! I will be there for 2 hours, signing and talking about how it came about. The book is dedicated to the students and staff from the Granville Village School, who throughout my career, helped me more that I did them, and my good friend, Clem Fucci, a baseball coach who coached for the love of the game! It has received a Five Star Silver Seal from Readers' Favorite and below is what the reviewer, Jack Magnus had to say! R.W. 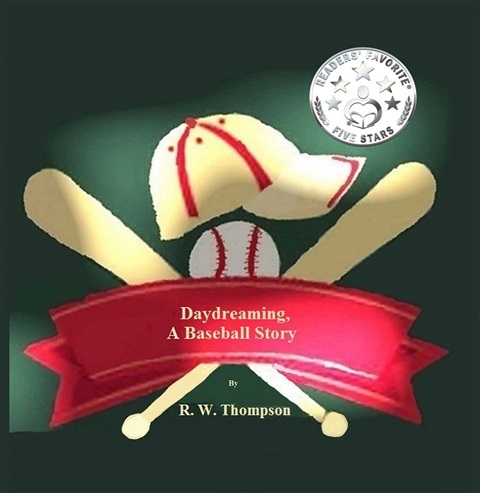 Thompson's children's sports picture book, Daydreaming: A Baseball Story, was a magical interlude for me as well, as I too was transported to a remembered game from the past and re-experienced the glance I, in my position at first base, shared with the pitcher in those moments before he began to wind up for the next one. Thompson's story and illustrations capture both the wonder and immediacy of baseball, and the magic to be found in daydreams and imagination. I loved reading this book and savored the tension and intensity of the players as they played their fantasy game, and then I marveled at the power I had found in a children's picture book. Yes, Daydreaming, A Baseball Story will enthrall the adult who's been charged with reading a story aloud as deeply, if not more so, as it does the young listener, and that's a very rare thing indeed. This stirring story, with its accompanying masterful illustrations, stands out above the usual children's fare and is most highly recommended! Today is World Penguin Awareness Day, and exactly one year ago today, "Waddle's Big Adventure" was awarded a five star silver seal and selected as a "Book of the Week' by Readers' Favorite Book Review Company. If you have a child 8-10 or who is reading at a 4th-5th grade level, check it out and let them join Waddle for the adventure of a lifetime! Waddle's Big Adventure is available at the Blue Umbrella Bookstore in Westfield, MA or on Amazon or barnesandnoble.com. 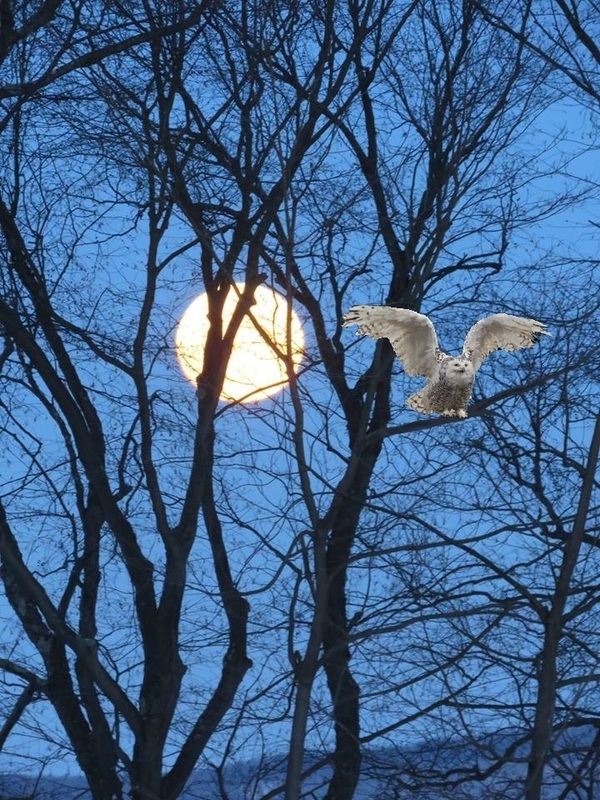 Check out the new short story, "The Owl Called"! I will debut it at a reading in February. Crash! In the blink of an eye, Steven Jacobs’ life changed from being a children’s author to being unable to see his world. We can’t change what happens to us, but we can control how we react to it. This, my readers, is my Christmas gift to you! I hope you will enjoy! Check the new poem for the love of my life! Icicle is a young Emperor Penguin who lives on the southern tip of Argentina. In "Icicle’s First Christmas", she was shy and had a problem to solve. Through perseverance and learning to communicate with others she managed to overcome her shyness and solve the problem. The official Launch will be Friday, February 24 at the Blue Umbrella Bookstore, 2 Main St, Westfield, MA from 10:00 A. M. to 1:00 P. M. This is the Friday of vacation week, so if you are looking for something to do with that preschooler through 3rd/4th grade, come on down to the party! If you purchase a copy before then, bring it down and I'll be happy to sign it for you. The good news just keeps coming! An e-mail arrived Friday morning from Readers' Favorite review company. They have given "Waddle's Big Adventure" a Five Star Silver Seal! Read the entire review below. Waddle’s Big Adventure is a children’s book written and illustrated by R.W. Thompson. Born on the west coast of Antarctica, young Emperor Penguin, Waddle, is not a fan of the cold. One day, while playing with his best friend, Waddle is separated from all of the other penguins when a giant storm hits, blowing him far out to sea. As he learns to survive on his own, feeding on fish in the warm ocean waters, Waddle eventually finds himself in a strange land called Argentina. Waddle’s adventures lead him to meeting many new animals, most of which are odd-looking, friendly, which try to help him get back home. He learns about many different sea creatures, both friendly and unfriendly – even finding himself in dangerous ocean waters with hungry sharks. The lessons Waddle learns during his journey will determine his survival and, if possible, his next big adventure. I could not help but be absolutely fascinated and delighted with R.W. Thompson’s adventurous tale, as seen through the eyes of Waddle, the Emperor Penguin. Not only does Waddle’s Big Adventure talk of a wild animal being out of the familiarity of their comfort zone, but also provides a large amount of interesting educational aspects about several different animal species (from land, sea and air) throughout the book, inclusive of their habitats, feeding regimes, and how they associate with other animals (including man). The friendships forged during Waddle’s unplanned visit are strong, with virtues such as trust, good instincts, love and devotion playing a key role throughout. I liked the concept that all animals can understand each other, and that kindness to animals will come back to you, tenfold. Not only do I plan on looking into the Cape Cod Oceanographic Institute and their good deeds towards rescued animals, but I look forward to adding Waddle’s Big Adventure to my home library. Although this book is marketed towards children, I recommend Waddle’s Big Adventure to animal lovers of all ages. Our launch for "Icicle's First Christmas" went very well. We had a great turn-out that kept us busy for and extra hour beyond the time scheduled. Thank you to all the people who came out, old friends and the new ones, we appreciate your business. Thank you very much to Jessica and her staff at The Blue Umbrella Bookstore for all their hard work, we had a great time working with you. Official launch of "Icicle's First Christmas"
Icicle's First Christmas will be officially launched on Dec. 10, 2016 at The Blue Umbrella Bookstore located at 2 Main St, Westfield, MA. The reception begins with refreshments and a reading at 11:00 and I will be there until 2:00 to answer questions, talk about writing and sign books. Children's books make a great gift, come on down and bring the children for story time and penguin cookies! Icicle's First Christmas will be for sale on amazon.com, barnes&noble.com and other on-line retailers on Dec. 2. Watch for the official launch date here! Waddle's Big Adventure is on the market! Waddle is a chapter book great for 2nd-5th grade reading. Check the new print, "Brothers" from Daydreaming, a Baseball Story, in the prints section. Also we are now taking orders for prints in 12X16 and 16x20 sizes. New Print available, "Celebration" from, Daydreaming, a Baseball Story. Check the Prints section for information. Just received a 5 star review from Reader's Favorites on Mrs. Mouse's Christmas that included a nice silver seal to place on the cover. My first Christmas present! Mrs. Mouse's Christmas is a children's picture book written and illustrated by R.W. Thompson. It's Christmas Eve and, as in the classic poem this story is based upon, everyone was tucked into bed and dreaming of the morning -- except for Mrs. Mouse. She was hard at work preparing the holiday meal for her guests when she discovered that there was nothing but vegetables in the pantry. While she had pizza, cake and fruit ready, and her table was all set, this meal would not be complete without milk and cheese. Mrs. Mouse searched high and low throughout the house looking for those necessary ingredients, but to no avail. Then she heard a scratching above the attic and, racing outdoors to see what was there, she discovered a team of reindeer on the roof of the house. She was thrilled to come back inside and see Santa by the hearth, piling up the gifts by the Christmas tree, but would he grant her Christmas wishes as well? R.W. Thompson's children's picture book, Mrs. Mouse's Christmas, is a heartwarming and joyful story for the holiday season. I enjoyed watching as Mrs. Mouse searches the rooms looking for cheese and milk, and appreciated the vivid imagery that fills this book, especially those pictures showing Mrs. Mouse as she searches. This is an excellent bedtime or story time offering for sharing with a young child, but it's also suitable for relatively new readers who can use the classic poem ''Twas the Night Before Christmas' and the illustrations to help them puzzle out any new and unfamiliar words and phrases. Mrs. Mouse's Christmas is a recommended seasonal offering. Check the new short story, The Gift, under the Poems and Short Stories page. Hopefully it will become another children's book within the year. "Mrs. Mouse's Christmas" is now available! My newest children's book, "Mrs. Mouse's Christmas", has been released on amazon.com. It is also available at the Create Space E-store at the following link, https://www.createspace.com/5864322. If you go to the e-store, be sure to type in the number at the end. That is the stock number for the book. Go to the link to see a summary and illustration. The book is for ages 1-8. New poem and print in Prints Gallery! to outshine them all, because the flint holds fire. New poem and print about the eagles at Eagle Bay, Alaska. Check it out on prints page. Check the new short story about a Red-Tail and a day on the golf course! Check the new print in the gallery. A photograph of the Aurora Borealis taken on 3/17 by a friend of mine, Mrs. Dorrie Holmes, a very accomplished photographer, and the new poem, A perfect night.